Unfortunately, Beasley’s investments didn’t succeed, and a family member informed Alden that the donation would not be happening. 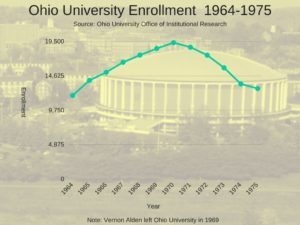 The Ohio University enrollment would never exceed 25,000 as current as of Fall 2017 according to Ohio University Office of Institutional Research. 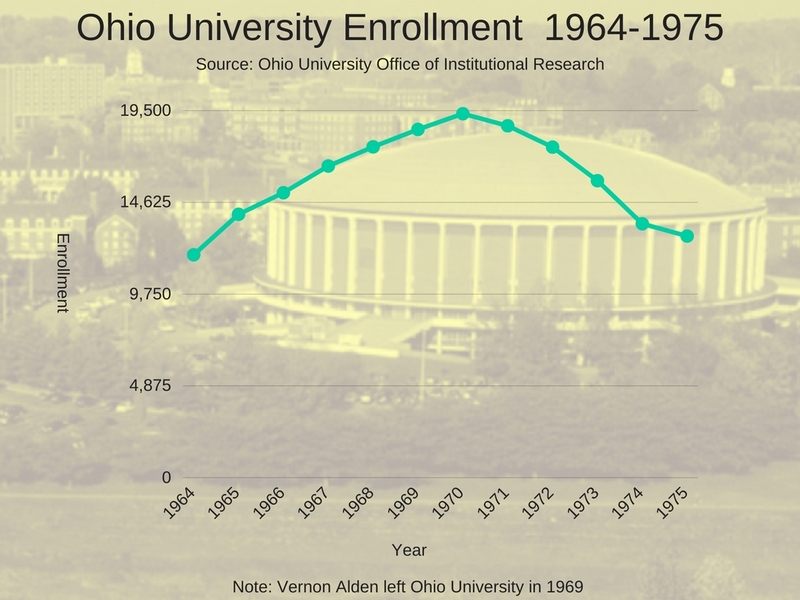 The fall in enrollment in the 1970s almost put Ohio University in a recession. 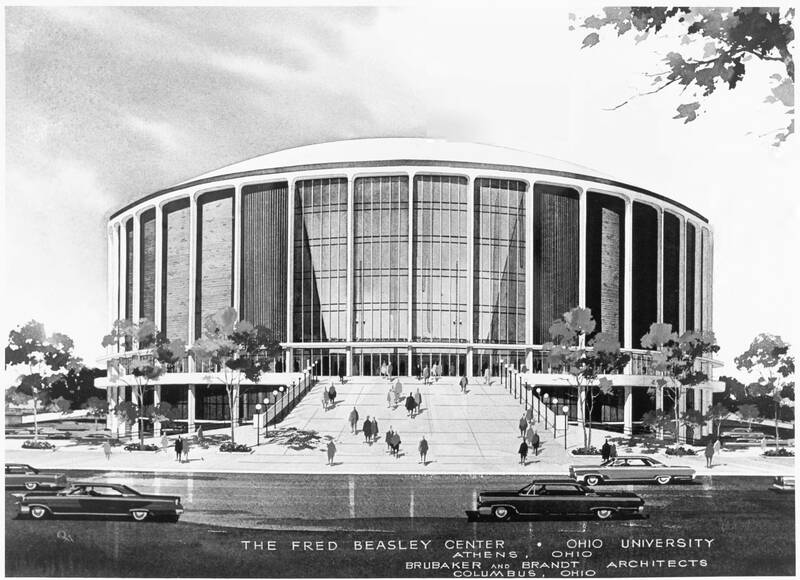 The Convocation Center serves as the “Mecca of Basketball” for Southeast Ohio, hosting the OHSAA Regional Tournament. Seth Kelley, now an Ohio University sophomore, grew up in Ironton, Ohio. When he was in high school, playing at the Convo was the season goal. Many other schools from around Southeast Ohio also feel the same way. Couldn’t be more proud of this group of guys. They gave #FlyerNation something to be proud of and ya can’t take that away from em. 2017 Sectional Champs. The Convocation Center will forever be a staple at Ohio University as it is the first thing you see when you enter campus off Richland Avenue. What do you think of the Convo? 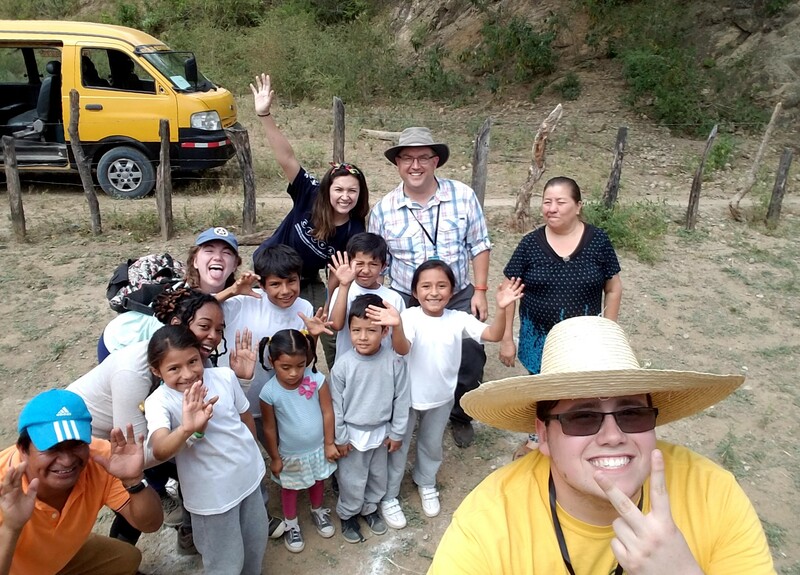 What are your best memories there? Let us know in the comments below.